The University of Chicago is considering building a hotel on the south end of campus where the Hyde Park Day School once was. WOODLAWN — University of Chicago officials on Thursday hinted at plans for a hotel on the southern edge of campus. At a Tuesday night meeting called by Ald. Willie Cochran (20th) to update the community on construction projects on and near the university’s campus, university officials said they are considering replacing the former Hyde Park Day School with a hotel. Will Towns, assistant vice president for neighborhood initiatives in the Office of Civic Engagement at the university, said he would discuss plans for a hotel at 60th Street and Dorchester Avenue at the start of the meeting — and then never said another word about it. University officials after the meeting said there were plans in the works to see if a hotel would be interested in the former Hyde Park Day School building to serve the nearby academic conference center the university is currently planning. The complex of three buildings have been empty since the day school and the Shankman Orthogenic School moved to its new building at 63rd Street and Ingleside Avenue two years ago. 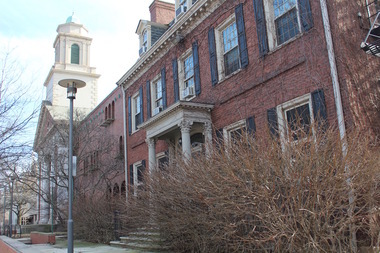 If a hotel is interested in the former school buildings, they would likely be demolished, according to university planners familiar with the hotel discussions. Crews have been in the buildings in the past month removing asbestos, but there appears to be no immediate plans to demolish the buildings while future projects are being developed.